When the beam is broken, the receiver will play one of four different tunes, determined by which zone is disturbed. The point to point sensor was built to avoid false alarms, such as wind, leaves falling, or small objects passing through the system so only intruders will cause an alert. You can place the transmitters at any height as well, to avoid it being triggered by small animals in more rural areas. 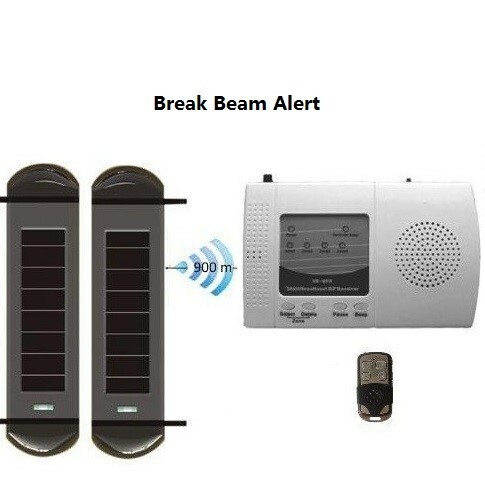 If you keep the transmitters hidden, intruders will never even know that they set off an alarm, unless you want them to. You are inside home and be alert of outdoor security.